"The Legacy of Leadership as a Warrant Officer"
(Many files throughout this History are Portable Document Format (PDF) files. 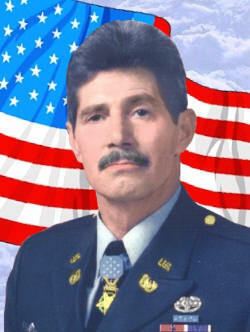 This History is dedicated to Chief Warrant Officer Four Donald E. Hess, United States Army Retired, to commemorate his twenty-five years of continuous and selfless service to the U. S. Army Warrant Officers Association (USAWOA) during his tenure as Founder, first President, and later Executive Vice President. In October 1997 he was designated as USAWOA President Emeritus and in July 2007 he was designated as Historian Emeritus of the Warrant Officer Historical Foundation (formerly the Warrant Officers Heritage Foundation). In 2013 Director Hess was elected to the position as Corporate Vice President. The rank of Warrant Officer has a long history. There is some evidence to suggest that Napoleon used Warrant Officers as communications links between his commissioned officers and the rank-and-file soldiers. The military grade of Warrant Officer is one of the oldest in Western military systems dating back two centuries prior to Columbus, during the fledgling years of the British Navy. At that time, Nobles assumed command of the new Navy adopting the Army ranks of Lieutenant and Captain. These royal blood officers often times had no knowledge of life on board a ship, let alone how to navigate such a vessel or operate the guns. They would often rely on the technical expertise and cooperation of a senior sailor who tended to the technical aspects of running the ship and operating the cannons. These sailors, some times referred to as ‘Boat Mates’ or ‘Bosun's Mates’ became indispensable to less experienced officers and were subsequently rewarded with a Royal Warrant. This Royal Warrant was a special designation, designed to set them apart from other sailors, but not violate the strict class system that was so prevalent during the time. Based on the British Royal Navy warrant ranks that were in place until 1949, the U. S. Navy has had warrant officers among its ranks, in some form or another, since 23 December 1775, when John Berriman received a warrant to act as purser aboard the brigantine, the USS Andrea Doria. The rank was considered one of trust and honor but was not considered a commission to command. Since this first appointment, Navy and Coast Guard Warrant Officers have held positions as surgeons, master mates, boatswains, carpenters, and chaplains. In the U.S. Navy, Warrant Officers have traditionally been the technical experts whose skills and knowledge were an essential part of the proper operation of the ship. "I call your attention to the recommendation of the Secretary and the board that authority be given to construct two more cruisers of smaller dimensions and one fleet dispatch vessel, and that appropriations be made for high-power rifled cannon for the torpedo service and for other harbor defenses." Army leaders realized that heavy fixed artillery required different training programs and tactics than mobile field artillery. The Artillery Corps was divided into two types: field artillery and coast artillery. This process began in February 1901 with the authorization of 30 numbered companies of field artillery (commonly called batteries) and 126 numbered companies of coast artillery. 82 existing heavy batteries were designated coast artillery companies, and 44 new CA companies were created by splitting existing units and filling their ranks with recruits. The head of the Artillery Corps became the Chief of Artillery in the rank of brigadier general with jurisdiction over both types of artillery. The coast artillery became responsible for the installation and operation of the controlled mine fields that were planted to be under observation, fired electrically and protected by fixed guns With that responsibility the Corps began to acquire the vessels required to plant and maintain the mine fields and cables connecting the mines to the mine casemate ashore organized as a "Submarine Mine Battery" within the installation command The larger vessels, mine planters, were civilian crewed until the creation of the U.S. Army Mine Planter Service (AMPS) and Warrant Officer Corps to provide officers and engineers for the ships designated as mine planters. The mine component was considered to be among the principal armament of coastal defense works. In the U.S. Army, the Warrant Officer can be traced back to 1896, specifically to the headquarters clerk. During World War I, also known as the First World War, the Great War, and the War to End All Wars between 1914 and 1918, saw positions of Pay Clerk and Headquarters Clerk in use. The Act of August 1916 authorized the Army Field Clerk (formerly Headquarters Clerk) and the Field Clerk, Quartermaster Corps (formerly Pay Clerk). These are believed to be a predecessor of the Warrant Officer. See insignia at the left. Although initially considered civilians, the Judge Advocate General eventually determined that they held military status. The official birthday of the Army Warrant Officer Corps is July 9, 1918 when an act of congress established the Army Mine Planter Service as part of the Coast Artillery Corps. Implementation of the Act by the Army was published in War Department Bulletin 43, dated 22 July 1918 - see extract of the Bulletin. A total of 40 Warrant Officers were authorized to serve as masters, mates, chief engineers, and assistant engineers on each mine planting vessel. Although only one rank of Warrant Officer was authorized by Congress, in effect, three grades were created because of the varying levels of pay authorized for masters, 1st mates, 2nd mates, and corresponding levels of marine engineer personnel. This is also when the official color of the Army Warrant Officer Corps came to be brown. It emanated from the brown strands from burlap bags that the Mine Planter Service personnel wore as their insignia of rank. Also, in 1918 the Army opened a school to train their mariners at Fort Monroe, VA, commanded by an officer who had graduated for the Naval Academy. See also "Fort Monroe's little-known history: Birthplace of the Army Warrant Officer," by Chief Warrant Officer 5 Dennis Erickson, Chief of Warrant Officer Leader Development at Training and Doctrine Command (TRADOC), published in the July 25, 2008 edition of the Fort Monroe (VA) CASEMATE newspaper. In World War I, the Coast Artillery Corps was responsible for mine defenses in major ports. Vessels ranging in size from small motor boats to 1,000-tom ocean-going ships were used to lay and maintain minefields. Conflict between solders and civilian employees who manned these vessels revealed the need to ensure that the vessels were manned by military personnel. See ARMY SHIPS -- The Ghost Fleet - Coast Artillery Corps, Army Mine Planter Service and information about the Forts associated with these mine-planters. War Department Circular 25, dated 17 January 1920. Description- A Gold color metal and enamel device 1 inch (2.54 cm) in height overall consisting of a shield blazoned: Per fess wavy Gules and Azure in chief on an oval escutcheon of the first (Gules) in front of the cannon saltirewise Or an Artillery projectile paleways within a bordure of the last (Or) in base a submarine mine of the like (Or). Background- The distinctive unit insignia was approved on 16 October 1929. Shield- Per fess wavy Gules and Azure in chief on an oval escutcheon of the first (Gules) in front of the cannon saltirewise. 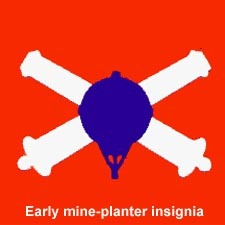 Or an Artillery projectile paleways within a bordure of the last (Or) in base a submarine mine of the like (Or). Supporters- Two cannons paleways Or. The design was used by the Coast Artillery School for many years but was never recorded by the War Department. It is a shield of red and blue parted horizontally by a wavy line; on the upper red portion of the shield is the insignia of the Coast Artillery, and on the lower blue portion a submarine mine in gold. A scroll bearing the words “Coast Artillery School” may be added to the device. The National Defense Act of 1920 provided for Warrant Officers to serve in clerical, administrative and bandleader positions. This act also authorized 1,120 Warrant Officers to be on active duty. During this time Warrant Officers were excluded from performing duties from which enlisted personnel were also excluded. In 1921, Warrant Officer Francis Leigh organized and led the band that was created for the 1921 internment of the World War I Unknown Soldier. He was known as a highly respected and competent musician within the Army music system. He was also the first musical leader of the United States Army Band "Pershing's Own" from January 26 - September 6, 1922. He led the band in its first public appearance on April 27, 1922. Unfortunately, he fell out of favor with General Pershing, and was soon replaced. In 1938 a building at Fort Leavenworth, KS was named for WO Francis Leigh and dedicated by Brig. Gen. Lesley McNair, the general for whom Fort Lesley McNair in Washington D.C. is named for. On May 12, 1921, a distinctive insignia was approved for Warrant Officers. It consisted of an eagle rising with wings displayed, adapted from the great seal of the United States. The eagle is standing on two arrows, which symbolize the military arts and sciences. The eagle rising is enclosed within a wreath. Warrant Officers of the Tank Corps were the first to wear this new insignia. 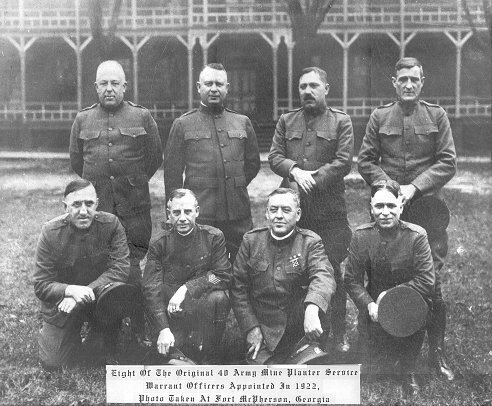 In 1922, Warrant Officer strength authorization was reduced from 1,120 to 600, exclusive of the number of Army Mine Planter Service Warrant Officers and Army Bandmasters. No Warrant Officer appointments other than bandleaders and the Mine Planter Service were made between 1922 and 1935. Despite the authorized strength remaining at 600, subsequent laws authorized appointment of additional classes of certain personnel with specific qualifications to exceed authorized Warrant Officer strength. In 1926, the first two female field clerks became the first female Warrants. They were Jen Doble, on duty at IX Area in San Francisco and Olive Hoskins, on duty at the VII Corps Area headquarters in Omaha, Nebraska. Both women then had about 20 years service and there were no more female warrants after they retired. Not until WWII did the Army again appoint women as warrants. [Source: "Encyclopedia of US Army Insignia and Uniforms" (Univ. of Oklahoma Press, 1996) by Bill Emerson]. 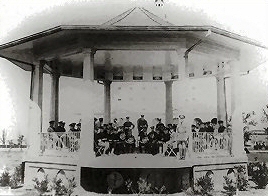 In 1934, Music Under the Stars Concerts at Fort Monroe, Virginia, were initiated by Chief Warrant Officer Michael A. Quinto, Bandleader of the 2nd Coast Artillery Regiment Band from 1932-1938. 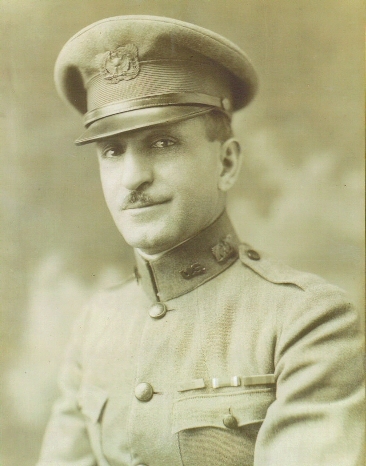 Quinto was appointed a Warrant Officer in 1921, and Bandleaders were some of the earliest Warrant Officers in the U.S. Army. The building in which The United States Continental Army Band now resides is named after Chief Warrant Officer Quinto. A room in Quinto Hall contains a display and biography of Quinto’s 42 years in the Army. In 1936, the Army was uncertain about what an Army Warrant Officer was and whether there was a place for Warrant Officers in the Army's personnel structure. although it had give the rank to such specialties as band leaders, marine engineers, field clerks, and pay clerks, it had also used the rank and the Corps as a reward for former commissioned officers who no longer met the officer educational requirements, and as a reward for outstanding enlisted personnel who were too old to be commissioned and who otherwise could look to no further advancement. Also, in 1936, the Army held competitive examinations to replenish lists of eligible's for Regular Army appointment. The Army appointed Warrant Officers against vacancies from this 1936 list until the beginning of World War II. In 1939, Warrant Officers who were qualified pilots were declared eligible for direct appointment to lieutenants in the Army Air Corps. This action caused a serious decline in the Warrant Officer corps. As of 30 June 1939 there were 775 Warrant Officers serving on active duty. Also in 1939 a memorandum from the Army G-1 to the Chief of Staff stated "The Warrant Officer grade continued to be used as a reward to enlisted men of long service and special qualifications rather than to fill essential military requirements." In 1940, Warrant Officers began serving as disbursing agents. Warrant Officer appointments began to occur in larger numbers for the first time since 1922. However, overall strength declined due to a significant number were transferred to active duty as regular commissioned officers. 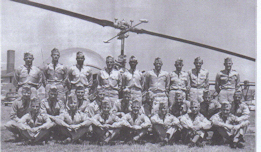 As early as 1941, with the activation of the 99th Pursuit Squadron (March 15, 1941) and with the forming of the 66th Army Air Forces Flight Training Detachment (July 1941), African American Warrant Officers performed in key positions, contributing to the success of their organizations, and making a significant impact on the heritage and legacy of the Tuskegee Airmen - see more. 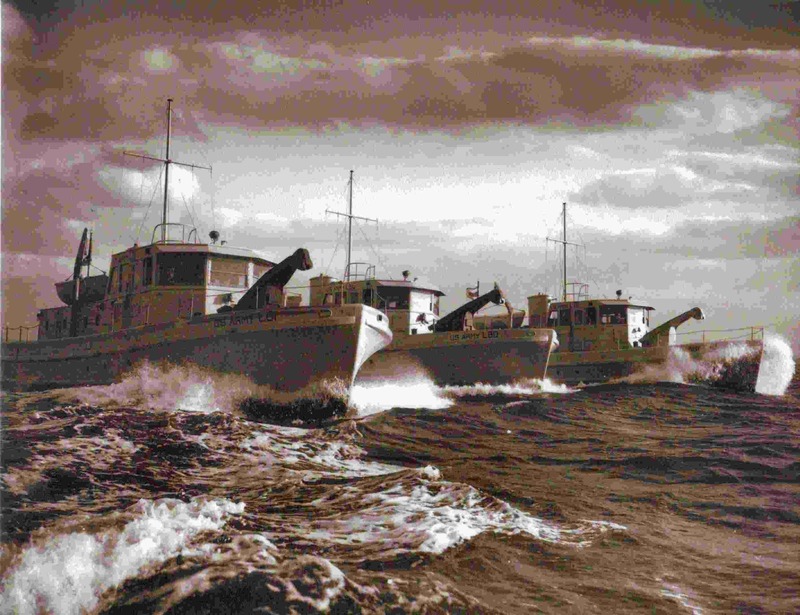 Sometime in 1941, additional Army Mine-Planter Boats were built for use during Word War II. Among those were L61, L80, L88, and L89 pictured below left. These vessels were built at the Luders Yard in Stamford, CT and ultimately based on the New England coast. In 1975, L80 was donated by the General Services Administration to the Mobile Alabama Fire Department. 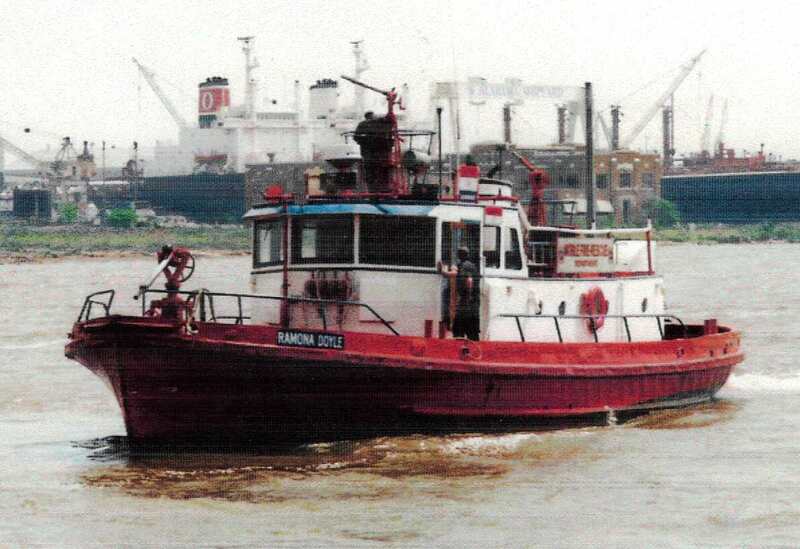 It was outfitted and put into service as the Fire Boat Ramona Doyle (pictured below center). After decommissioning some of the mine planter boats were sold. 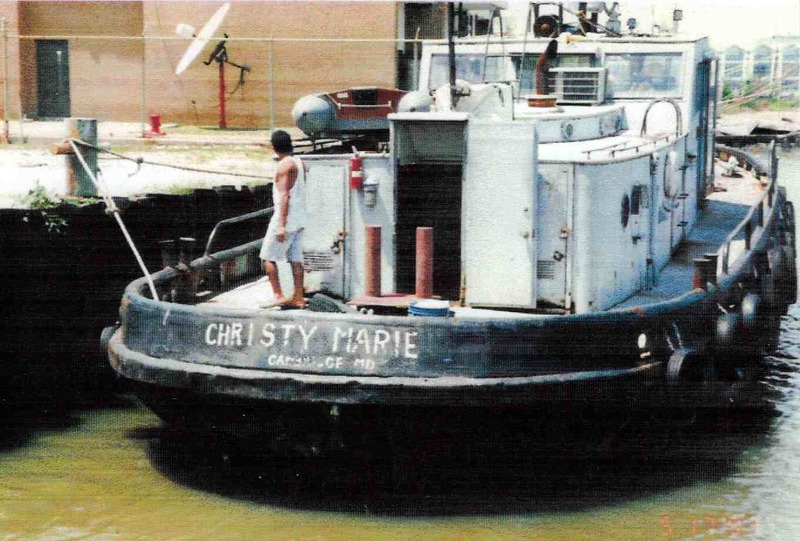 Pictured below right is the Christy Marie owned by an individual in Pennsylvania. The picture was taken while it was docked in Mobile Alabama prior to it proceeding to the Tenn-Tom Waterway and the Ohio River system enroute to Pennsylvania. We understand the Christy Marie underwent a name change upon arrival in Pennsylvania. 1. Warrant Officers can be assigned as prescribed by the Secretary of the Army. 2. When such duties included those normally performed by commissioned officer, the Warrant Officer would be vested with all the powers usually exercised by commissioned officers in the performance of those duties. On January 8, 1942, the 98-foot Army mine-planter General Richard Arnold sprang a leak and sank about 20-miles southeast of the Isle of Shoals of the Maine coast. Ten of the crew drowned. Saved was William H. Chasteen of Waterford, Conn., commanding the Arnold, who jumped from the bridge as the ship went under and was picked up by another disabled mine-planter the L-88 - see more. In November of 1942, the position of Warrant Officer was defined by the War Department in the rank order as being above all enlisted personnel and immediately below all commissioned officers. January 1944 saw the authorization of appointment of women as Warrant Officers and by the end of WW II, forty-two female Warrant Officers were serving on active duty. Warrant Officers were filling 40 different occupational specialties by early 1946 and approximately 60 specialties by 1951. From 1942 to 1945, Flight officer was a United States Army Air Forces rank used by the Army Air Forces during World War II. The rank is equivalent to warrant officer junior grade which is today's Warrant Officer (NATO grade: W-1). Enlisted and aviation cadet trainees who successfully passed air qualification training were appointed as flight officers and served as rated pilots, navigators, flight engineers, bombardiers and glider pilots. At the end of World War II, the Army Air Forces discontinued the use of the rank of flight officer. All of the service's flight officers had either been promoted to commissioned officer ranks during the course of the war or discharged. 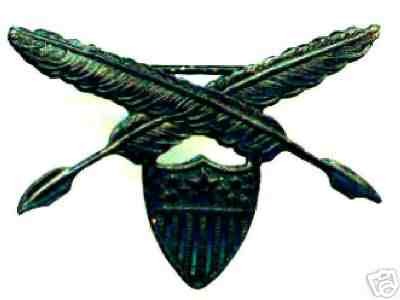 Pictured right, U.S. Army Air Force Flight officer rank insignia as used during World War II. Source of this information and the Flight Officer Insignia: Wikipedia, see http://en.wikipedia.org/wiki/Flight_officer#United_States_Army for more information. In January 1944, the appointment of women as Warrant Officers was authorized. In March 1944, the first six (or seven) female Warrant Officers were appointed. Several were band leaders, but others were administrative specialists. One was Nana Rae, General Eisenhower's secretary. At the conclusion of World War II, there were 42 female Warrant Officers serving on active duty. In May 1945, when peak personnel strength was reached during World War II, almost 57,000 Warrant Officers were serving including flight officers in the Army Air Force. On July 19, 1945, CW4 Oscar G. 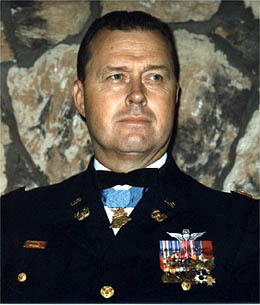 Johnson,Jr., was awarded the Medal of Honor for heroism. He joined the Army in October 1942, and by September 16, 1944 was serving as a private first class in Company B, 363rd Infantry Regiment, 91st Infantry Division. On that day and the following two days, near Scarperia, Italy, he single-handedly held his position at his unit's left flank after all other members of his squad had been killed or wounded. He was subsequently promoted to Sergeant and, on July 19, 1945, awarded the Medal of Honor. 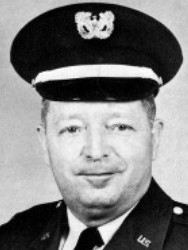 Johnson later joined the Michigan Army National Guard in July 1959, and reached the rank of Chief Warrant Officer Four before his retirement in April 1964. He died at age 77 and was buried in DeWitt Cemetery, De Witt, Michigan. (See picture and MOH Citation) The Warrant Officer Historical Foundation has purchased an engraved paver brick for the walkway to the entrance of the planned National Museum of the U.S. Army to join those of the other Warrant Officer Medal of Honor receipients; Major(Ret) (then CW2) Frederick E. Ferguson, CW4 (Ret) (then CW3) Michael J. Novosel (deceased), and CW2 (Ret) (then SFC) Louis R. Rocco (deceased). with the decentralized appointment system, and confusion about the purpose of Warrant Officers. By Early 1946, Warrant Officers were filling some 40 different military occupational specialties. During 1948 and 1949, competitive examinations were once again held to appoint or select for appointment approximately 6,000 regular Army Warrant Officers. In 1949, the Career Compensation Act brought about two new pay rates for Warrant Officers. The designations of Warrant Officer Junior Grade (WOJG) and Chief Warrant Officer (CWO) were retained, the grade of Chief Warrant Officer was expanded with the addition of pay grades of W3 and W4. During the 1950s, studies determined there was a vital need for Warrant Officers, and proposed that appointment to Warrant Officer should be based on the needs of the Army and not simply a reward for long and faithful service. During 1950, approximately 900 Warrant Officer appointments were made using the 1948 and 1949 lists from competitive examinations. In 1951. Major Commanders were once again authorized to tender temporary Warrant Officer appointments. Some 1,400 temporary appointments were tendered in some 60 occupational specialties under this authority. In March 1952, termination of Warrant Officer appointments occurred due to budgetary considerations. In 1953, the inception of the Warrant Officer Flight Program lead to the training of thousands who later became helicopter pilots during the Vietnam War. 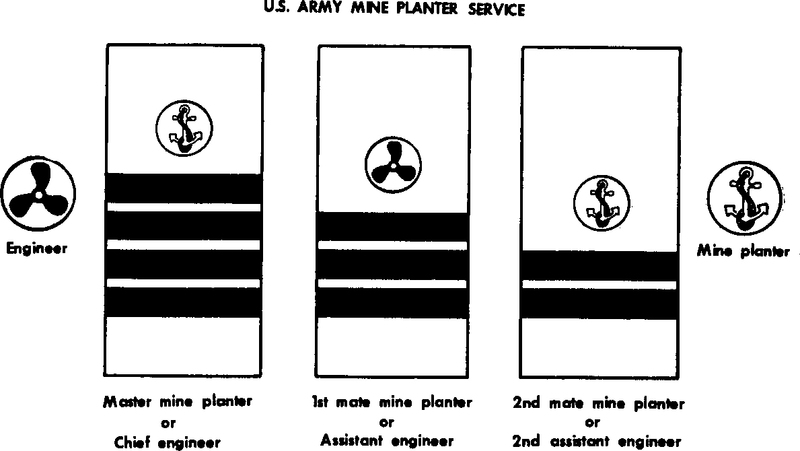 In 1954, The Warrant Officer Personnel Act of that year established Warrant Officer grades W1 through W4, and officially eliminated the Mine Planter Service. In July 1956, Camp Wolters Texas was transferred back to the Army from the Air Force and became the U.S. Army Primary Helicopter Center and School. Camp Wolters later became Fort Wolters and Aviation Warrant Officer Candidates were trained at this post from November 1956 until 1973. For more about the school and post visit the History page of the Fort Wolters Chapter, Viet Nam Helicopter Pilots Association). 2. The Warrant Officer category would not be considered a reward or incentive. "The Warrant Officer is a highly skilled technician who is provided to fill those positions above the enlisted level which are too specialized in scope to permit effective development and continued utilization of broadly trained, branch qualified commissioned officers." In 1958, the U. S. Air Force discontinued its Warrant Officer program following the passage of legislation (Military Pay Act of 1958) which created the grades of E8 and E9. After careful review of the duties performed by their Warrant Officers, Air Force leaders decided to restructure the Warrant Officer authorizations into the senior enlisted grades (E7/E8/E9). In the eyes of the Air Force leadership, loss of the Warrant Officers cut out an additional management layer and a separate personnel management system, and additionally created increased promotion opportunity for the senior enlisted force. The last active duty Air Force warrant officer, CWO-4 James H. Long, retired in 1980 and the last Air Force Reserve warrant officer, CWO-4 Bob Barrow, retired in 1992. Since then, the Air Force warrant officer ranks, while still authorized by law, are not used (Source Wikipedia). See also "The In-Betweens" by Bruce D. Callander, published in November 1991 edition of the AIR FORCE MAGAZINE of the Air Force Association. In April 1960, the Warrant Officer Program was outlined in Department of the Army Circular 611-7. This document covered utilization policies, criteria for selection, and instruction for conversion to the then new Warrant Officer Military Occupational Specialty (MOS) system. In 1966, the Army conducted a review of Warrant Officer career progression and the first Warrant Officer Professional Development Program was published in Department of the Army Pamphlet 600-11. In 1967, early selection for promotion (below the zone) promotions were authorized for a limited number of Chief Warrant Officer W3 and W4. In 1968, the Regular Army Program was reopened to Warrant Officer applicants after having been closed for 20 years. Additionally, service requirements were reduced and application procedures were simplified. 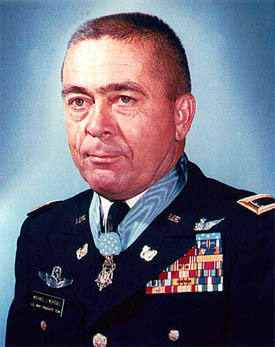 Between January 1968 and May 1970, three Warrant Officers received the Congressional Medal of Honor (MOH) for their heroic actions in combat in the Republic of Vietnam (RVN). All three are enrolled in the Aviation Hall of Fame at the Army Aviation Museum, Fort Rucker, Alabama. For more information about the Congressional Medal of Honor and a listing of recipients visit the Congressional Medal of Honor Society web site. 31 JAN 1968, Hue, RVN. 2 OCT 1969, Kien Province, RVN. 24 MAY 1970, N.E. of Katum, RVN. In July 1972, Army Warrant Officers began wearing newly designed silver rank insignia with black squares, where one black square signified WO1 and two through four black squares signified CW2 through CW4. Also in 1972, a tri-level education system had been established and provided formal training at the basic or entry level for Warrant Officers in fifty nine occupational specialties. The educational system further provided intermediate level formal training in fifty-three specialties and formal training for twenty-seven specialties at the advanced level. In 1973, the levels of the Warrant Officer Education were redesignated as entry, advanced, and senior level respectively. Because these courses were so successful the Warrant Officer Senior Course was established to provide Warrant Officers with access to the highest level of professional education. In 1973, an Aviation training for women was authorized based on an Army Chief of Staff decision. The women followed the same academic, flight, and physical training programs as the men except that push-ups were substituted for pull-ups required for males. Initially, women did not participate in the survival and POW exercises, but that practice was changed late in 1974. The women pilots were assigned to general support, noncombat units, where they evacuated medical patients and transported routine passengers such as inspection teams. The first female Warrant Officer candidate entered this training program in fiscal year 1974 and the first completed the training and was appointed as a Warrant Officer in fiscal year 1975. 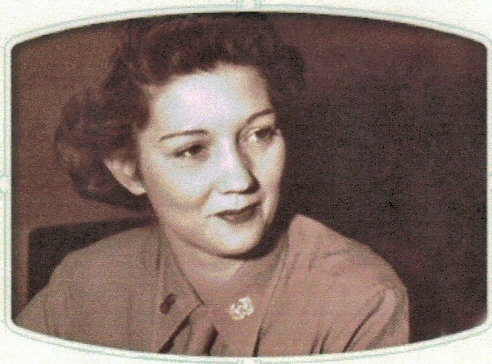 The first female warrant officer aviator was Jennie A. Vallance. 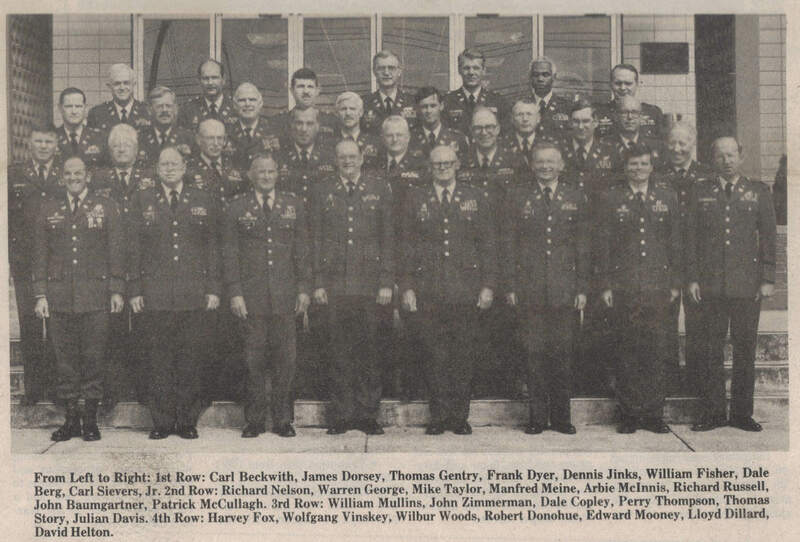 In 1974, a Military Occupational Specialty Immaterial Warrant Officer Senior Course was instituted to give mid-grade and senior Warrant Officers background on "how the Army runs." In 1975, a Warrant Officer Division at the then Military Personnel Center (MILPERCEN) [later the Total Army Personnel Command (PERSCOM), then Total Army Personnel Command (TAPC), and now Human Resources Command - Alexandria (HRC-Alexandria)] was established to provide a centralized career management center for all Army Warrant Officers (excluding the Judge Advocate General and Medical Corps). 1975 also saw the Warrant Officer Civilian Education and Degree Completion Program authorized and established by the Department of the Army. In 1978, Army National Guard & Army Reserve Warrant Officers were integrated into the Army Professional Development System. This satisfied the need for qualified, highly trained Warrant Officers to access to the active Army rapidly in times of emergency. In 1982, the Warrant Officer Training System (WOTS) was established by the U. S. Army Training and Doctrine Command (TRADOC). WOTS consisted of three levels "Entry", "Advanced", and "Senior". In 1984, an entire new era for Warrant Officers began when the Army Chief of Staff chartered The Army Total Warrant Officer Study (TWOS). This was the first Department of the Army level comprehensive study of Warrant Officer management across the total Army. View the Cover Letter and Executive Summary of the final TWOS Report. On 1 October 1984, all direct appointments of Army Warrant Officers ceased by direction of the Army Vice Chief of Staff. A Warrant Officer Entry Course was established at Fort Sill, Oklahoma. In the mid-1980s a Warrant Officer Entry Course-Reserve Components was established in the Warrant Officer Training Branch at the Army Reserve Readiness Training Center at Fort Mc Coy, WI. This course evolved into Warrant Officer Candidate School-Reserve Components and it was conducted until September 1994 when all Warrant Officer Candidate School courses were consolidated and transferred to the Warrant Officer Career Center, Fort Rucker, AL. In 1985, the Army developed a clear and concise definition of the Warrant Officer that encompassed all Warrant Officer specialties. "An officer appointed by warrant by the Secretary of the Army, based upon a sound level of technical and tactical competence. The Warrant Officer is the highly specialized expert and trainer who, by gaining progressive levels of expertise and leadership, operates, maintains, administers, and manages the Army’s equipment, support activities, or technical systems for an entire career." In October 1985, Direct Appointments officially ceased when the Warrant Officer Training System (WOTS) was approved. All those, except prior warrant officers or commissioned officers, selected to become warrants were required attend the Warrant Officer Entry Course (WOEC) prior to appointment. For all warrant officers appointed prior to October 1, 1987, there was no requirement for WOEC, therefore they were considered educationally qualified for appointment and promotion to Chief Warrant Officer Two (CW2). Also in 1985, Active Guard-Reserve (full-time Title 10 active duty) positions were established in the Personnel Directorate in the Office of the Director of the Army National Guard and in the Personnel Division of the Office of the Chief Army Reserve. These positions were the result of an approved recommendation in the Total Warrant Officer Study (TWOS). This resulted in the active Army, Army National Guard and Army Reserve each having a Warrant Officer Program Manager, later renamed a Warrant Officer Policy Integrator in line with having the Total Warrant Officer System (TWOS), and the only singular personnel management system in The Army. "Warrant Officers are highly specialized, single-track specialty officers who receive their authority from the Secretary of the Army upon their initial appointment. However, Title 10 U.S.C. authorizes the commissioning of Warrant Officers (WO1) upon promotion to chief Warrant Officer (CW2). These commissioned Warrant Officers are direct representatives of the president of the United States. They derive their authority from the same source as commissioned officers but remain specialists, in contrast to commissioned officers, who are generalists. Warrant Officers can and do command detachments, units, activities, and vessels as well as lead, coach, train, and counsel subordinates. As leaders and technical experts, they provide valuable skills, guidance, and expertise to commanders and organizations in their particular field." In a 1988 message, the Army established that, pending submission and approval of the new rank of CW5, that Warrant Officers selected by a Department of the Army board and designated as Master Warrant Officer (MW4) would be senior to all Warrant Officers in the grade of CW4. The MW4 continued to be paid at the W-4 pay grade. In December 1988 the first Master Warrant Officer Training Course graduated and the first thirty CW4s were designated as Master Warrant Officers. (See below regarding the Warrant Officer Management Act and the rank of Chief Warrant Officer 5 (W-5). In December 1988, the first Master Warrant Officer Training Course (MWOTC) graduated from the then U. S. Army Warrant Officer Career Center at Fort Rucker, Alabama. Pictured below are the graduates and their names. In 1989, A Warrant Officer Management Act (WOMA) proposal was submitted by the U.S. Army Warrant Officers Association on behalf of the Army to the Congress. Then Congressman Charles Bennett of Florida submitted the proposed legislation to the House. Upon review, the Senate Armed Services Committee Report on the FY 1990/1991 Defense Authorization Bill referred the package to the Department of Defense (DoD) to evaluate the proposal for consideration in the 1991 bill. The Army was requested by the Defense Department to chair a special ad hoc committee to research and prepare the requested report for the Congress. The committee initiated deliberations on September 22, 1989. Committee participants included representatives from the Office of the Secretary of Defense (Force Management) and from the personnel departments of each of the military services, the Reserve components, and the Coast Guard. The Committee's report was issued on 30 November 1989. The Assistant Secretary of Defense (Force Management & Personnel) forwarded the Defense Report to the Chairmen of the Senate and House Armed Services Committees on 9 March 1990. See the Executive Summary. A single promotion system for Warrant Officers. Tenure requirements based on years of Warrant Officer service. Establishment of the grade of CW5 with a 5% cap on the number of Warrant Officers on each service's active duty list at any one time. Selective mandatory retirement boards for retirement eligible WO. View House Resolution 36, the actual bill as enacted into law. Automatic Regular Army Integration upon selection and promotion to CW3. In May 1991, the Warrant Officer Leader Development Network was activated by the Training and Doctrine Command (TRADOC) to produce a coordinated Warrant Officer Leader Development Action Plan (WOLDAP) to address the three pillars of Leader Development. The WOLDAP was charged to be applicable to both the active and reserve components in line with TWOS concepts. From November 24 to December 1, 1991 Then CW3 Thomas J. Hennen made history as the first and only Warrant Officer Astronaut. He flew aboard NASA's Orbiter Atlantis, STS-44, as a Payload Specialist, completing 109 orbits of the Earth and traveling 2.9 million miles. He served over 24 years in the imagery intelligence field. From 1988 to 1990 he underwent Terra Scout payload operations training at Fort Huachuca, AZ . 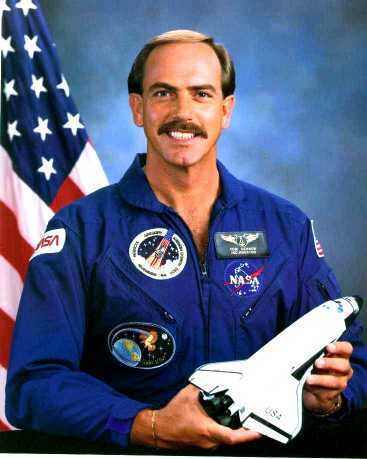 In 1990 he began his Astronaut and Space Shuttle Crewmember Training at NASA. He retired as a CW4 in December 1995. He is co-founder and currently serves as Executive Director of the non-profit Atlantis Foundation, Seabrook, TX, which is both an advocate and a service provider for people with various developmental disabilities. Tom, who after viewing our planet from a totally different perspective, has rededicated his life to helping people, especially children who can not help themselves. In February 1992, the Warrant Officer Management Act (WOMA) provisions went into effect. In February 1992, the Army began appointing Physicians Assistants as regular commissioned officers. In the mid-1980s the Office of the Army Surgeon General proposed to convert Warrant Officer Physician Assistants to regular commissioned officers. This would bring the Physician Assistants program of the Army in line with the other services, all of which required a Baccalaureate. It had been recognized that Warrant Officer Physicians sometimes suffered a credibility gap with commissioned nurses and some other commissioned officer non-medical professionals who were regular commissioned officers. The Army submitted legislation to the Congress which was passed and signed into law by the President. The physician assistants in the active Army were conditionally appointed to commissioned officer grades with five-years to medical the BA and other certifications. Reserve component physician assistants were conditionally appointed and allowed 10-years to complete the education and credentialing requirements. On February 27, 1992, the Warrant Officer Leader Development Action Plan (WOLDAP) was approved by the Chief of Staff, Army. The purpose was to incorporate a smooth transition of the Total Army Warrant Officer System and the Warranty Officer Management Act into a seamless personnel management system for the Army Warrant Officers. It is a total Army plan designed to ensure that active and reserve component Warrant Officers are appointed, trained, and utilized to a single standard. See approved WOLDAP. In March 1992, the Army Deputy Chief of Staff for Personnel recommended that the Master Warrant Officer rank insignia be approved for wear by both Master Warrant 4s (MW4) and Chief Warrant Officer 5s (CW5). This was in light of the fact that MW4 selection boards would be replaced by CW5 selection boards in accordance with the Warrant Officer Management Act. It was also felt that the CW5 insignia proposed Institute of Heraldry might not be recognizable as a Warrant Officer rank. On March 28, 1992, the Chief of Staff, Army approved the recommendation. On the other hand, the U.S. Marine Corps did adopt the Institute of Heraldry proposed CW5 insignia upon implementation of that rank. That insignia is a silver bar with a red enamel strip in the center down the length of the bar. See also the Evolution of Current Army CW5 Insignia - by CW5 (Ret) Don Howerton with Addendum by CW5 Ed German and CW5 Dave Welsh. On October 1, 1992, Master Warrant Officer 4 Ted Reno, Warrant Officer Proponent at the Army Ordnance Center and School became the first active Army Chief Warrant Officer 5. Among the first Reserve Component Warrant Officers to be promoted to Chief Warrant Officer 5 were Master Warrant Officer 4 John F. "Jack" Lynch, Warrant Officer Policy Integrator in the Personnel Directorate in the Office of the Director Army National Guard; Master Warrant Officer 4 David P. "Dave" Welsh, Warrant Officer Policy Integrator in the Personnel Division of the Office of the Chief of the Army Reserve; and the first female Warrant Officer was promoted to Chief Warrant Officer 5. Master Warrant Officer 4 Donna L. Foli, then serving as Chief, Technical Warrant Officer Recruiting for the Army Reserve at the U.S. Army Recruiting Command was the first female to be promoted to Chief Warrant Officer 5. All the foregoing officers are now retired. On October 1, 1992, the appointment of Army Warrant Officer Candidates (WOC) to WO1 was established as the graduation date from Warrant Officer Candidate School (WOCS). Prior to that date, WOC were not appointed until completion of the then Warrant Officer Technical and Tactical Certification Course (WOTTCC) for their military occupation specialty (MOS). Since WOTTCC for various MOS were of various lengths, the length of time spent as a WOC varied greatly. Also Army policy was changed effective October 1, 1992 to require all warrant officers be appointed in the grade of WO1 upon completion of WOCS. On October 3 and 4, 1993, street and air support battles in Mogadishu, Somalia took place. These battles, the atrocities and the heroics on the ground and in the air resulted in the book Blackhawk Down by Mark Bowden, and later the movie by the same name. See Nightstalker Pilot's Acc ount of 03/04 Oct 1993 by Capt. Gerry Izzo (Super65) for a detailed account of the battle with the names of the Warrant Officer involved. The death of CW4 Ray Frank in the battle resulted in the coining of the term "The Quiet Professional" by then Major General Jack Keane, Commander, 101st Division (Air Assault), delivered an address to assembled warrant officers at Fort Campbell. General Keane used the words "quiet professional" as he talked about warrant officers, and specifically applied that title to a warrant officer with whom he was personally acquainted. The Warrant Officer, of whom General Keane spoke, served as a pilot in command of a MH-60 on October 3, 1993, in Mogadishu, Somalia. In performance of the mission and his duties, that warrant officer was shot down and killed, paying the ultimate price in service to the Nation. 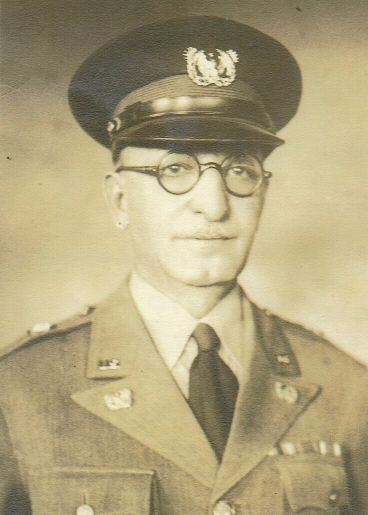 The name of this warrant officer was CW4 Raymond A. Frank, U.S. Army; "The Quiet Professional." See also CW4 (Ret) Michael J. Durant in this history. In October 1993, a new Warrant Officer Education System (WOES) went into effect. Warrant Officer Candidate School (WOCS) retained that name. Warrant Officer Technical Training Certification became the Warrant Officer Basic Course (WOBC). Senior Warrant Officer Training became the Warrant Officer Advance Course (WOAC). The Warrant Officer Staff Course (WOSC) was added by reduction in length of MWOTC. The Master Warrant Officer Training Course was renamed the Warrant Officer Senior Staff Course (WOSSC). In 1993, consolidation of Warrant Officer Candidate schooling at the U.S. Army Warrant Officer Career Center (WOCC), Fort Rucker, Alabama was directed by the Chief of Staff, Army. Class 345-95 was the last Reserve Component class conducted for Army National Guard and Army Reserve candidates at the Army Reserve Readiness Training Center at Fort McCoy, Wisconsin. This class graduated on 30 September 1994 and the guidons of the Warrant Officer Candidate Company were furled for the last time. Since October 1, 1994 the WOCC is responsible for conducting a six-week version of WOCS for active Army and all aviation candidates, and a four-week version for RC candidates in the technical Warrant Officer specialties. On January 1, 1994, the Warrant Officer Advance Course (WOAC) or equivalent became a requirement for selection to CW4 in the Army Reserve. On September 21, 1994, the Assistant Secretary of the Army (Manpower & Reserve Affairs) ratified the erroneous Chief Warrant Officer 2 appointments made between October 1992 and September 1993 by granting a retroactive exception to policy - see erroneous CW2 appointments above. 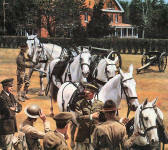 In 1995, the U. S. Army Warrant Officer Association commissioned the painting of "The Quiet Professional" by noted military artist Don Stivers. The print commemorates the 75th Anniversary of the Army Warrant Officer Corps. The setting is historic Fort Myer, Virginia and features early period uniforms and the Caisson Platoon horses and equipment of the 3rd U.S. Infantry, "The Old Guard". The Warrant Officer that the tile refers to served as a pilot in command of a MH-60 on October 3, 1993, in Mogadishu, Somalia. In performance of the mission and his duties, that warrant officer was shot down and killed, paying the ultimate price in service to the Nation. The name of this warrant officer was CW4 Raymond A. Frank, U.S. Army; "The Quiet Professional." See the origin of the title. In 1996, the U. S. Army Warrant Officer Career Center accepted full responsibility for the Warrant Officer Candidate Museum at Fort Rucker, AL. Since then, the museum has been moved from a WW II Building to a two story brick building housing Headquarters Company of the Warrant Officer Career Center. The museum has subsequently closed and the artifacts places in storage. 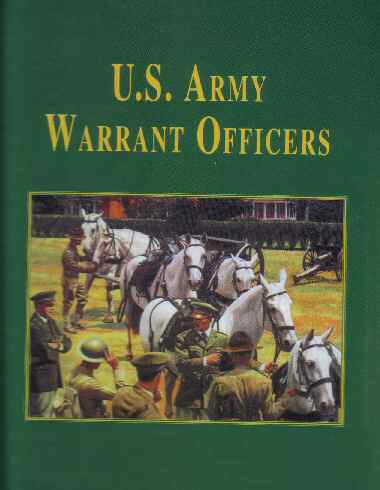 Also in 1996, a U.S. Army Warrant Officers History Book was undertaken by the U. S. Army Warrant Officers Association to tell the story of the Corps. This is a living document which is updated as research progresses and events transpire. Comments and additional historical data may be sent to the Foundation to wohf-2003@verizon.net. Make a donation to help support our Army Warrant Officer History projects. No donation is too small! Copyright © 2003 - 2015, Warrant Officer Historical Foundation and other contributors. All rights reserved.